Believe in yourself, but don’t just tell the world what you can do – SHOW THEM! The success in everything I’ve done relies on knowledge, experience, passion for perfection, spirit of cooperation and hard work! You are an official Ambassador for Greek Gastronomy for the year 2019. In which country are you located and where do you offer your valuable services as an executive chef? During the last years I am located in Saudi Arabia and I work for the InterContinental Hotels Group (IHG) and more specifically at the Intercontinental® Al Khobar. 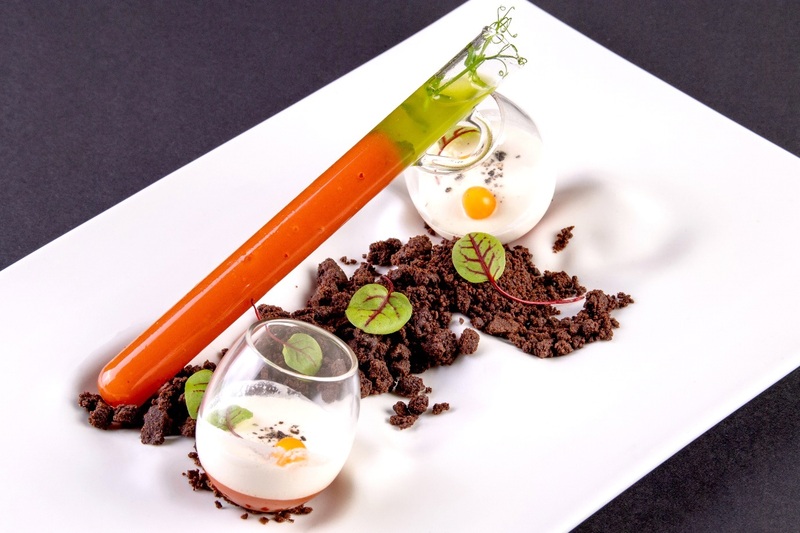 As a worldwide recognized chef, to what do you attribute your success? Do you feel satisfied with everything you have achieved for yourself? Which are your next goals? There is no guaranteed recipe for success. Self-confidence is the product of knowledge. Know yourself, how much (or how little) you know. Believe in yourself, but don’t just tell the world what you can do – SHOW THEM! The success in everything I’ve done relies on knowledge, experience, passion for perfection, spirit of cooperation and hard work. Ever since I was a young boy, I’ve always been – and still am – a restless spirit. I don’t know if I have achieved a lot, but I always aim higher than my potentials and I end up amazed by how much more I can accomplish. My work evolvement has always been my goal. And by that I mean to be able to apply new tastes based on new techniques and to elevate the culinary results, always with respect to the basic principles and culinary traditions. I’ve always enjoyed using and highlighting our country’s flavorsome treasures and products. Something I really seek for the future is my international recognition through my signature recipes and also my name’s connection to them. There have been many professional goals. Today, there are proposals to forward Greek products either through Social Media or through my physical presence abroad, for cooperation with investors to launch and manage restaurants based on my cooking style as well as for a culinary school. There is also my career development at the IHG where I am working at the moment. I honestly don’t know what will happen in the future, but I am an optimist. Which were your career’s highlights and in what moment of your professional life did you feel that you climbed an important step in life? Having served gastronomy and taste over the last thirty-five years, there were a lot of milestones which were conquered with effort and hard work. Ever since I was an intern up until today every step was important, but two of them stand out. A very important step in my career was my first job as a Head Chef, during the 80’s, at a very small, yet miraculous, restaurant named GloGlos which was located at Kolonaki. There, through the knowledge and guidance of its owner Efi Giallousi I came in contact with fusion flavor for the first time and also with the diversity that characterizes the different culinary tastes of the world. This was the result of a very multi-leveled and high demanding menu. In 2002 I worked as an Executive Chef/ Director of F&B Operations at the AM Abdullah bin Abdulaziz Al Saud’s palace, who was at that time the King’s successor and later became the King of Saudi Arabia himself. Through this job, I was truly uplifted to a whole new scale in all aspects. Official state dinners for Heads of States like i.e. William G. Clinton, George Bush Jr., Tony Blair, Jaques Chirac, Gehard Shroder, Junichiro Koizumi etc. are just a small hint. Travels from the White House to Beijing that today seem like a fairytale. The enormous facilities, the big team of people working together, the great variety of raw materials and equipment in our disposal to get the work done, the huge work load and demands, travelling around the world, the time restrictions and all the unexpected events we had to raise above compose definitely an unforgettable experience I am truly blessed I experienced. My most recent step is working for IHG, that owns more than 5000 hotels, in 100 countries around the world, and specifically at the Intercontinental Al Khobar Hotel in Saudi Arabia. Here I strongly believe that my former experience in different types of businesses benefited me extremely, because apart from the knowledge, I have also learnt to adjust and lead a team, trying to make sure it stays organized and delivering the required menus, but also making sure to keep the team united by inspiring all new members to function correctly and systematically for an excellent result. To answer to the second part of your question I consider myself very fortunate, because every step of my professional career happened at the exact time I had been ready to take it. Furthermore, each of those steps made me more experienced and added an extra qualification that helped me get the necessary knowledge for the next step in my career. How did cooking enter your life and how did your studies contribute to the work of a contemporary chef? Even though my first studies were in computer programming, the reason I was inspired to get involved with the kitchen was the fact that my parents had been working in the restaurant of a big hotel, where I was helping out during my summer holidays. My mother was the basic inspiration. She always cooked with love and having lived many years abroad she was influenced by traditional French or Izmir recipes. Without ever being tired and always being methodical, she added her own touch to all the well-known Greek recipes, but also to other gastronomic delights. My cooking experimentation started early enough and the customers’ satisfaction when they tasted a great plate made me in the beginning to want to try, and eventually end up as a culinary professional. For me, the fulfillment didn’t come from the completion of a dish, but through the whole preparation of the food, from the selection of the raw materials up until its serving, that I monitored closely. My first specialized knowledge came from the Tourist Professionals School and continued through cooking competitions, specialized seminars combined with working experience throughout the world. What does Greek cuisine mean and how it must be demonstrated to the rest of the world? Are you in favor or against its modernization? Would you prefer it remains totally traditional? Greek cuisine is authentic and most of its basic ingredients come from nature. It is autonomous, humble and gourmet at the same time. We can place it at the top of the healthiest diets in the world that promises, if not long-living, to avoid exaggeration, certainly tasty delight. I don’t want to distinguish it from the others, but often – depending on the place and the style I want to deliver – I interfere only for extra intensity to the existent flavor or plate’s esthetic. 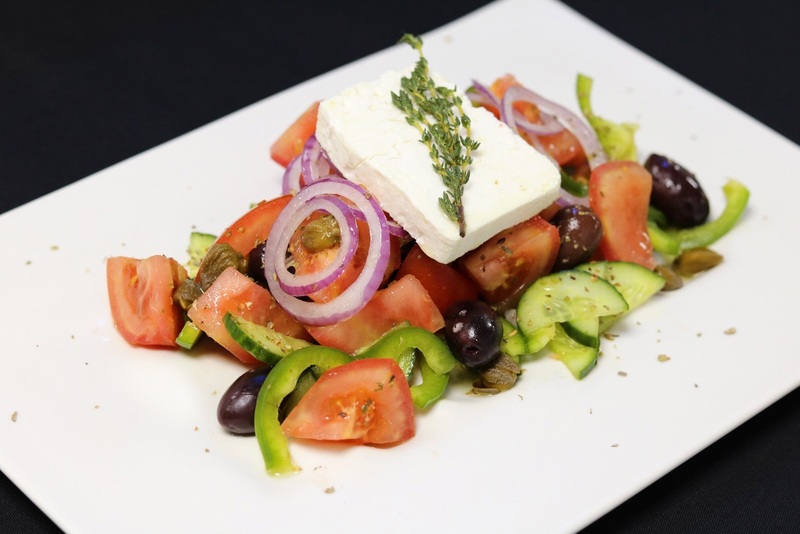 In the pictures you can see a Greek salad with two different approaches. One more traditional and one more modernized or decomposed, but both executed with love for the traditional taste I maintain. There is no right or wrong. Greek cuisine has unfortunately been abused abroad as well as in Greece. It has been exploited by unskilled people with their only agenda being the occasional profit. It’s not the “Greek Souvlaki” or the “Greek Mousaka” that are wrong, but their bad execution and the restriction of our gastronomic wealth in just a few recipes. As the official ambassador for the Greek Gastronomy for 2019 do you set new missions based on the basic principles that come with this newly acquired title? Apart from the honor I feel by holding this title, I feel I have the responsibility to communicate and transfer it outside of Greece as far abroad as I can and reinforce the knowledge of what Greek cuisine means by helping to spread Greek products outside of the Greek borders. Lately, at the hotel where I’m working I promote absolute Greek cuisine days with selected Greek products. Visits by Saudi Arabians in Greece lately have helped Greek cuisine that is now greatly appreciated in Saudi Arabia where I work and throughout the Golf countries. What do you think of GTBB and what was the element that stayed in your mind from the Forum that took place at the Megaron – Athens Concert Hall, besides the official title awards? 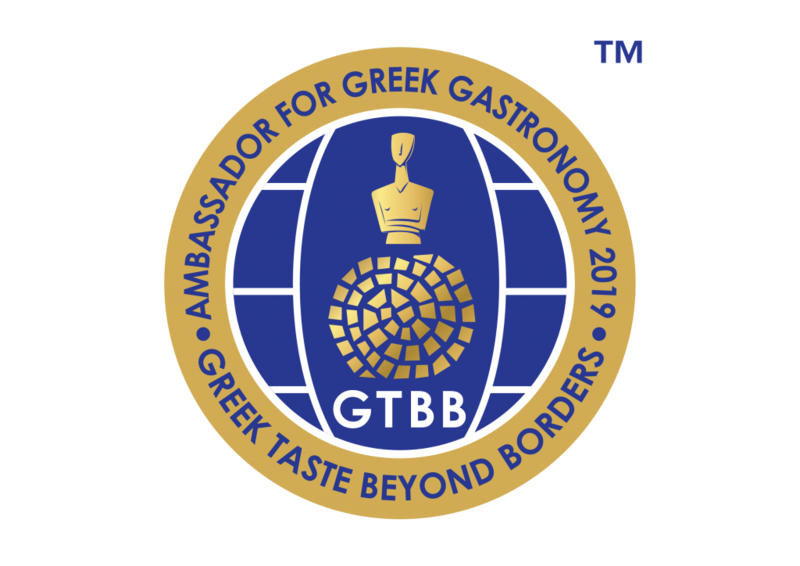 I believe that Greek Taste Beyond Borders GTBB is flourishing worldwide as a top organization, by establishing in a unique way the most effective business networking platform in the taste & gastronomy industry. It sustains Greek culture, taste, history, way of living and values more intensely and systemically than any other structure. 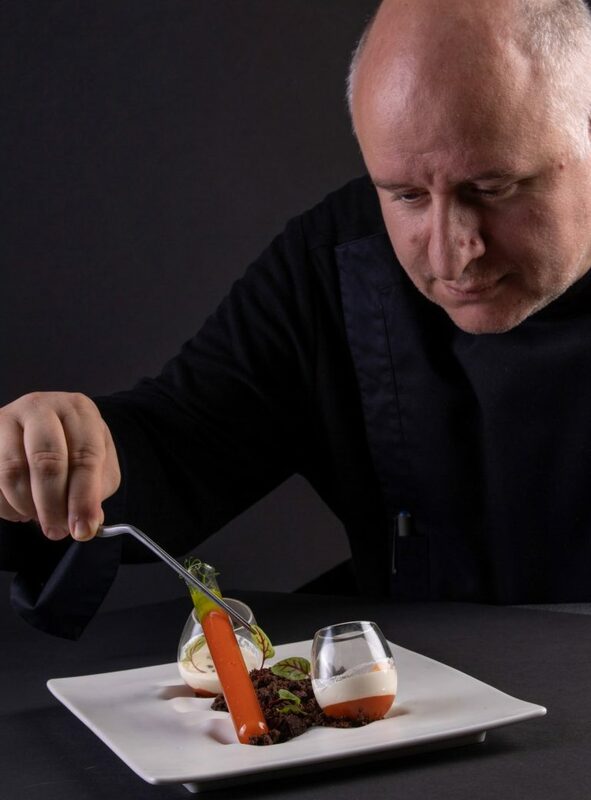 The commercial mobilization of Greek certified products abroad, led by us international Greek Chefs, will help make them accessible and recognizable for their quality to all other countries promptly. At the forum I met friends, also Chefs, and I got to know many remarkable people that all wanted this great idea to result in a positive outcome. I met people who focus on promoting Greek gastronomy without even being Greeks, only because they recognize its value. It was a great honor for the forum and the GTBB to hear the speech of the great worldwide famous music composer Mr. Thanasis Polykandriotis, an artist who carries with his work the contemporary Greek culture and who composed the Greek Taste Beyond Border’s anthem. Do you believe that Greek products hold a future in Saudi Arabia? Are there the necessary conditions for their spread to these markets? GTBB is already planning to communicate new premium product codes weighing the needs and preferences of these markets. I am sure that Greek products hold a future in Saudi Arabia, because Arabs are first of all philhellenes. They believe that Greece is an important destination and they know what Greek cuisine means. They love Greek food and this is evident every time we host a Greek buffet at our hotel. Although they live their life in a different way, they are very communicative and love investing in everything of good quality that is related to food. Despite all this, there is a delay and a difficulty in the way Greek products are imported in Arab countries, but I believe that in the future we will overcome it and replace it with a much easier procedure. Still there must be a more long-term plan, an accurate payment policy, consumers’ training and also patience regarding Greek companies, if they are eager to enter in this large market. When you don’t have professional engagements, how do you spent your free time? I enjoy spending valuable time with my family, my friends and playing the drums. What would you plan on cooking for an important institutional person abroad, ie America, who doesn’t know the Greek cuisine? And what would you cook for a child – again in a foreign country who has never been in touch with our culture – with the ulterior motive to familiarize them with our unique flavors? I will tell you what I actually did cook. In 2002 I started working at AM Abdullah bin Abdulaziz Al Saud’s palace in Saudi Arabia. As you obviously understand, my first day’s stress was enormous and for days I was preparing, writing notes, searching for recipes, menus…. At those times we didn’t have all the modern today dishes neither social media, so French and Italian cuisine were dominants. Cuisse de canard confite, tournedo Rossini, foie gras, gnocchi, ravioli de aragosta and many more which nowadays remind us of a different era or even like Escoffier’s notes. Having all this in my had, I had a phone conversation with my mother “You are Greek and you will not cook any Greek plates? You should cook stuffed tomatoes, lamb fricassee and spinach with rice”. At that time, I laughed at my mother’s idea about serving spinach with rice to the king! “Spinach with rice”. This humble dish was the one that gained the king’s approval and makes a difference when you cook it with love using pure ingredients, freshly chopped spinach, dill and fresh onions with their leaves finely chopped, Greek olive oil I carried with me and of course Mrs. Mary’s -my mother’s- addition finely chopped leak and fennel, lemony and grainy to the last bite. It is difficult to tempt a child at any cuisine. I would probable cook a round bread roll stuffed with kasseri cheese, a Skopelitiki cheese pie with Greek feta cheese and thyme honey, tomato balls from Santorini, fried courgettes and aubergines with tzatziki, ntako with barley rusks (one of the best dishes Cretans taught us) with soft Greek cheese and grated tomato, hot and fluffy meatballs like the ones our grandmother used to make and, if these weren’t enough, I would make “giouvarlakia” with egg and lemon sauce, that all kids like to eat. And of course in the end Greek donuts, creamy custard pie and “submarine” Greek mastic gum dessert.